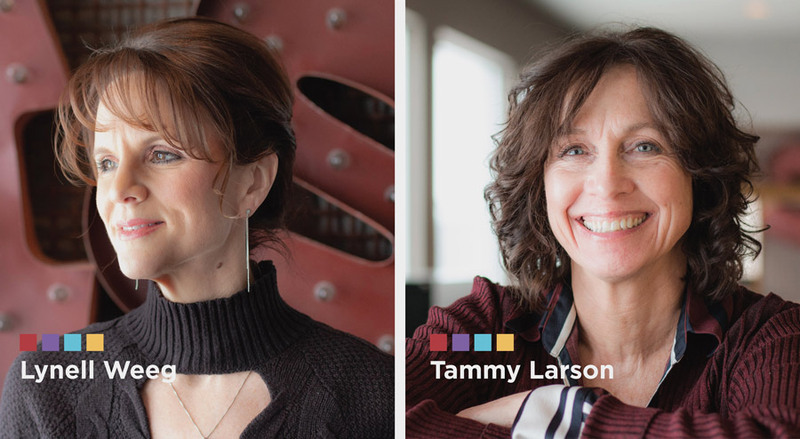 HenkinSchultz designers Lynell Weeg and Tammy Larson were once students too. As experienced graphic artists, they have a passion for sharing design skills they’ve learned with students. We asked them to step away from their Adobe Suite for a few minutes and share thoughts for aspiring artists. If an ad or campaign asset is beautiful, but does not communicate, it is useless. We are in the business of communication arts. And that starts with communication. Marrying communication and art is what we do. “It’s very important to first think about what you need to communicate – and just as importantly – to whom,” adds Weeg. The best designers are first great thinkers. Think outside the box, inside the box, then question if it even is a box. And when you think, think hard. When at all possible, think fast. Budgets are real. But they don’t have to box you in. It’s often easy for us creative types to spin and spin on ideas during the creative process. We can find ourselves paralyzed by all the options in front of us. Don’t be afraid to dive into projects and trust your decisions. You will gain valuable confidence. Then, step back and analyze your work. Take a look at it with another artist or creative and welcome input. There may be changes that can make your design better. “Photography is a great way to focus your skills. Viewing the world through a frame can help train your eye to really see,” says Weeg. If you have a chance to pick up a photography class or a camera, you will become a better designer. You will learn about composition, lighting, color combinations and the emotional impact of a great photo. HS recently did an elaborate photo shoot for Showplace Cabinetry and their product line. One thing I’d encourage up-and-coming designers to do is learn more about the printing process,” says Larson. “Having that knowledge helps determine the possibilities.” Larson recommends reaching out to local printers and ask to shadow for a day. Printing capabilities continue to evolve and it’s beneficial to learn new techniques. Also, paper is a crucial part of a lot of design. Paper choices are nearly endless. The type of paper you choose definitely affects the look and feel of your project. If you’ve got questions about a career in design services or are a student looking to shadow, contact HenkinSchultz.